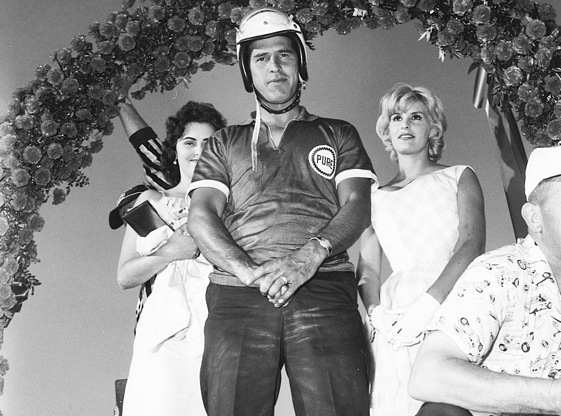 Among the things that NASCAR’s long time audience can look forward to in the 2011 season is having David Pearson back in the limelight. Pearson is being inducted into the NASCAR Hall of Fame this year, and the Wood Brothers, whosecar he once drove, are honoring his induction by dedicating their season to him. 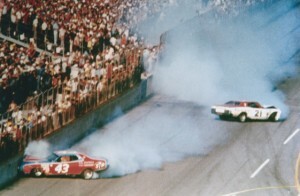 The Woods and Pearson both were successful working with other teams and drivers, but they were at their best together – as their 43 Cup wins show. The Woods invited Pearson to the NASCAR media tour last week to surprise him with the news that they were honoring him. Their No. 21 Ford, driven by rookie Trevor Bayne, will sport a paint scheme similar to the red and white that the Woods’ Mercury had in its heyday in the 70s. And there’s a special Pearson decal on the car. Pearson, 76, was at his best during his media tour appearance. He seemed genuinely grateful to the Woods for their gesture. Pearson seemed especially pleased to be back in the company of the Woods as well as long-time non-family crew members like Kenny Martin. If there ever were any hard feelings over their awkward parting back in 1979, they weren’t apparent. in separate directions at times, then quickly gravitate back together. Wood even presented Pearson with a radio-controlled model of the old Mercury they once used to annihilate the competition. Wood built the model himself and had a special plaque made to go with it. It was a day marked by wide smiles all around. But, another side of Pearson was evident as well. The outspoken side of him soon became apparent as reporters gathered around sought his opinion about the current state of NASCAR racing. He raised the most eyebrows with his assessment of Dale Earnhardt Jr.’s slump. Pearson said he told Earnhardt’s father the same thing. the track that he once did. “He’s getting smarter,” Pearson said. Pearson also weighed in on the Chase and its formula for resetting the points for the final 10 races of the season. “Running down ‘til last 10 or 12 races and starting over again, that’s a bunch of bull,” he said. Pearson also didn’t hesitate to point out to his questioners just how good he was in his day. And he said he’s not too impressed with the way the Hall of Fame selection process seems to be overlooking some of the pioneers like car owner Raymond Parks. For the record, the answer is nine, more than any other Cup driver. 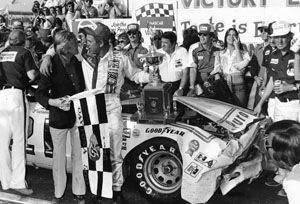 And his record in the Trans Am Series, driving for Bud Moore. “Bud said I ran five times, won four and ran second once,” Pearson said. The Silver Fox acknowledged that his opinions aren’t always what NASCAR officials want to hear and that he’d have had a tough time being a racer today, one who has to hold his tongue at times to keep from upsetting a sponsor. Now there’s something to look forward to as Daytona rolls around. Fantastic man !!! I was at my first Cup race at Daytona in 76. The end result couldn’t have been scripted better in Hollywod. Love David, Cale and the Wood Brothers. They did it right !! To the Hall of Fame David & Cale !!!! Well Desivered. 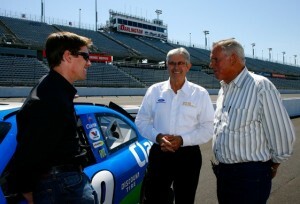 For many yrs DAVID WAS MY DRIVER…NEVER WENT TO A RACE HE DID NOT WIN… LOVE THAT MAN TIL THIS DAY AND THAT 21. I AM LIKE DAVID SAID BS TO THAT STUPID CHASE…. AND FOR 25 yrs MY DRIVER HAS BEEN AND JUST LIKE DAVID I WILL BE THERE FOR MARK MARTIN…. LOVE THEM BOTH. He has alway’s said the Woods unloaded a race ready winner for him each week and there was little to adjust. a ’68 FORD Torino around Darlington for 500 in the heat….no cool helmet and no power steering…..
ASKING…” why is there a cigarette ligther in my dash”….